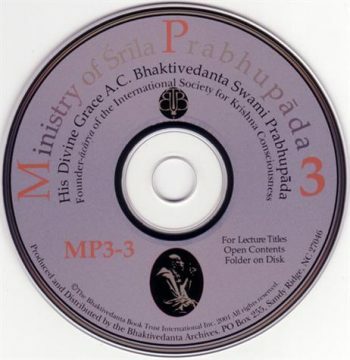 View cart “SP lectures on MP3” has been added to your cart. 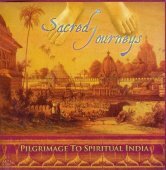 Radhanath Swami, Dina Bandhu Prabhu, Sacinandana Swami, and many others share exciting, instructive, and amusing stories and histories of many pilgrimage sites throughout Jagannatha Puri, Mayapur, Vrindavana, Bangladesh, and South India. Over 100 hours of lectures and speeches of places of pilgrimage. SKU: MP3-SJ. 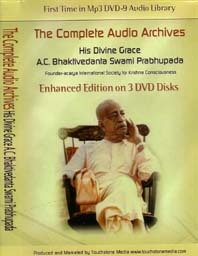 Categories: Lectures, Narrations / Audio Books. 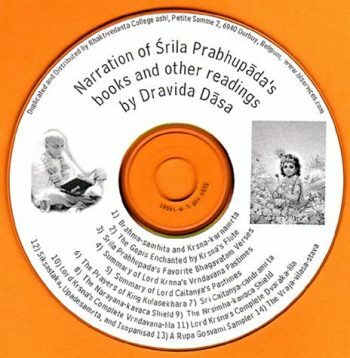 These narrations are now available on a usb stick with many other wonderful classes. 12 MP3 Discs, over 100 hrs.